Matt, an account executive at a major global public relations firm, had the ambition to rise to the top and the smarts to get there. But when he had to open his mouth at work, panic set in. “For something as simple as speaking up in a meeting, my face would turn red,” says Matt, who’s in his early 30s (and asked to be identified by first name only). Modern technology and a perfectionist culture may increase the risk We all need moments of solitude, but people are primarily social creatures. Connecting with others gives us a sense of meaning and purpose, and helps us make our way in the world. 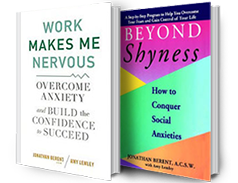 That is why social anxiety can be so devastating—it injures our ability to connect. 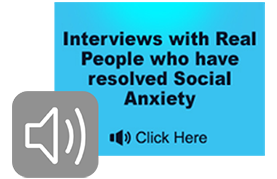 Author and psychotherapist Jonathan Berent discussed social anxiety, approach of the mental health profession to the problem, treatment approaches, and the ways social anxiety manifests. The mental health community must increase its clinical acumen regarding complex psycho-pathology consisting of the avoidant personality, social impotence, and related rage. School violence has taken on epidemic proportions since two disturbed adolescents masterminded Columbine and became role models for the mentally ill young men who drive the new culture of school shootings. While the profile of the school shooter has evolved over the last couple of decades, it’s worth considering the behavioral patterns and psychodynamics significantly present in school shootings. For the mental health profession to increase its clinical efficacy with this very at-risk group, this consideration is imperative.